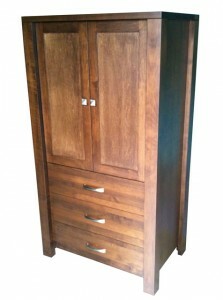 All of our dressers are locally made, in a variety of solid woods. Our built to order dressers and chests are available in a range of drawer configurations and sizes. All dimensions shown are within 1/4″ due to the seasonal effects on wood and the nature of handmade furniture.